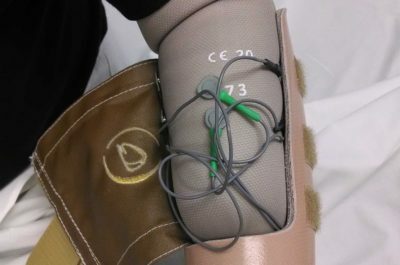 New Prosthetic Socket for Volume Control | CJ Socket Technologies, Inc. In short, controlling socket volume is everything and ironically heretofore, not addressed in socket design. 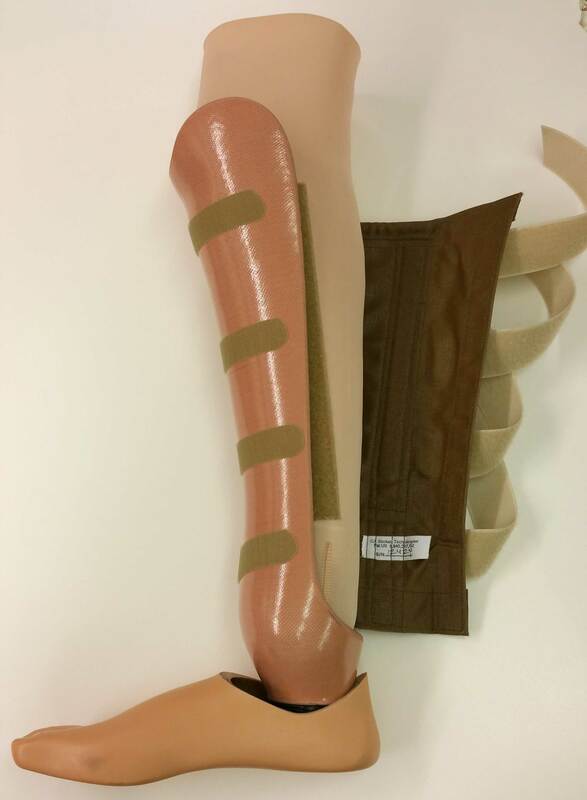 The CJ Socket was designed to address residual limb volume change (RLVC). 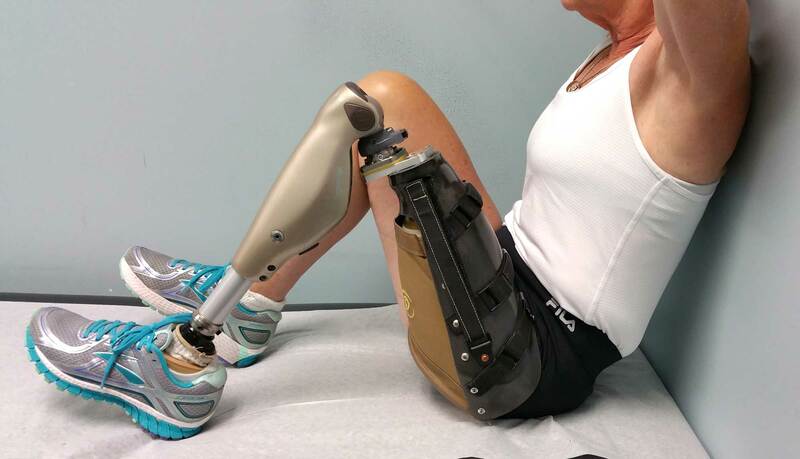 By simply adjusting the closure, the CJ Socket allows the patient to easily maintain a precise volumetric fit and avoid issues with weight bearing and skeletal control. 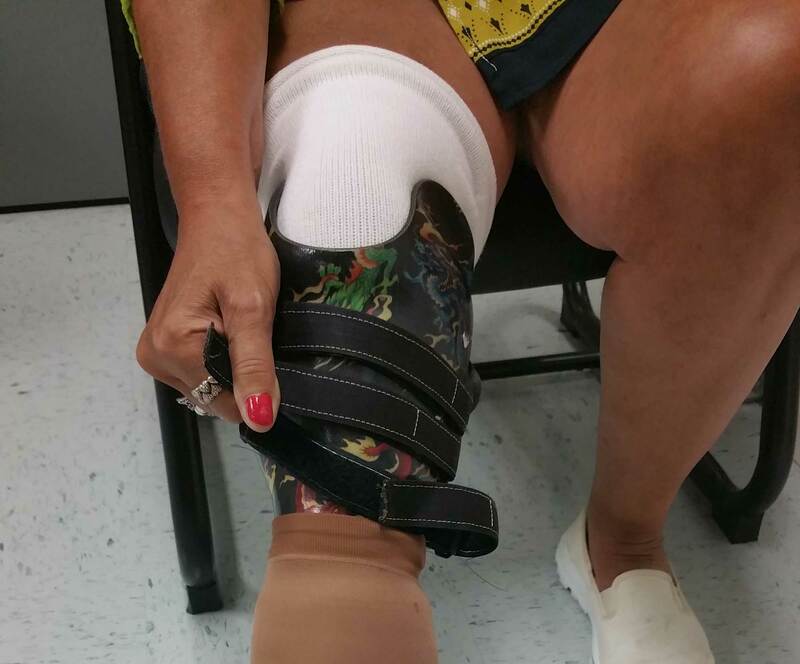 The CJ Socket also dramatically improves comfort and by extension, the patient’s wearing time and overall success. 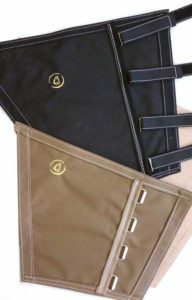 Moreover, because the CJ Sail is a textile, it conforms to the seat allowing the AP of the socket to decrease and the thigh to splay more naturally. And because the AP is reduced in sitting, the anterior trimline of the socket maintains its intended position and closely follows the inguinal ligament thereby reducing impingement on the abdomen. For any prosthesis to be successful, the patient has to want to wear their socket! 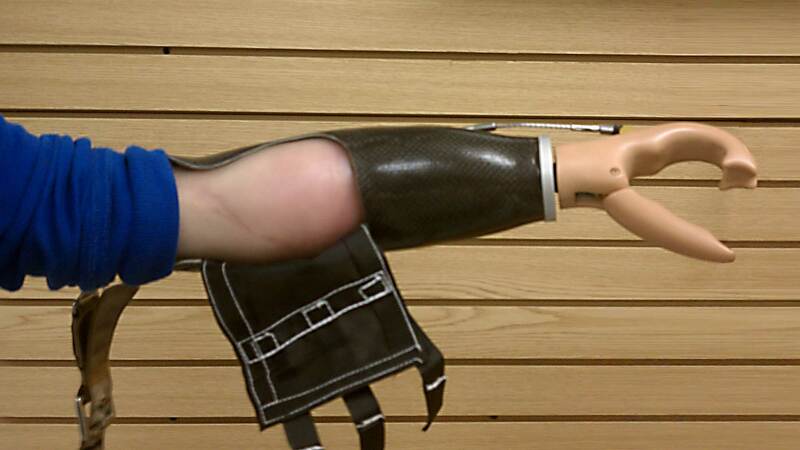 The rigid J-shaped socket covers approximately 50% of the residual limb. 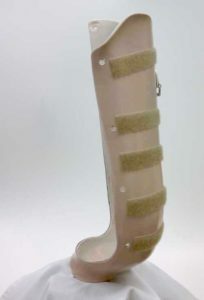 It transfers the skeletal (femoral/tibial) forces from the residual limb to the prosthesis providing skeletal control. Typically, a transfemoral frame covers the residual limb from the adductor longus muscle extending anteriorly and laterally to the posterior edge of the femur. For Above Knee and Below Knew, the back half is left open. Half the weight, half the heat, half the hassle. 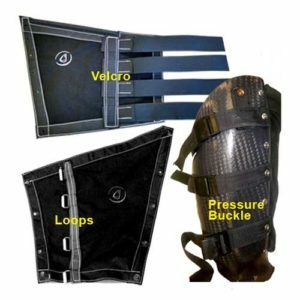 The Sail comfortably contains the remainder for the residual limb. The posterior and medial tissues are contained by this non-elastic, flexible inner socket/garment. The Sail serves to provide unprecedented flexibility and comfort. It allows the socket’s AP and diagonal ML to be dynamic, and for the socket to take various shapes for sitting or standing. 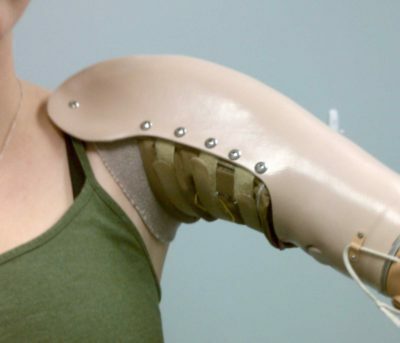 This is the flexible non-elastic textile which completes the socket enclosure of the residual limb. More like clothing than a plastic socket. 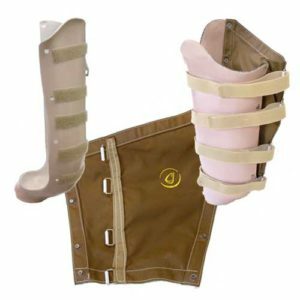 The User-adjustable Closure ensures that the socket volume is precise to provide optimal hydrostatic lift and skeletal control. The closure allows the user to adjust the socket and accommodate residual limb volume changes (RLVC) easily and quickly. The patient controls the fit of the socket! The volumetric fit is always precise. The closure easily accommodates changes in size and volume. We encouraged you to read our FAQs and visit the Resources page for additional information about CJ Socket, Training, and Ordering. Don’t take our word for it—Read what people are saying!